PHILIPSBURG - Atlantis Group owner Francesco Corallo was spotted at his Dunes Casino on Wednesday afternoon greeting his employees and taking a quick tour of his business. The Daily Herald understands that Corallo is no longer under house arrest in Italy and can travel. Corallo and Atlantis Group Chief Financial Officer (CFO) Rudolf Baetsen were arrested in St. Maarten in December 2016 on request of Italian authorities. The Prosecutor’s Office said at the time that Corallo would be prosecuted in Italy for tax evasion and bribery of several politicians, amongst other things. Italy-born Corallo is also suspected in Italy of using his businesses for money-laundering. Corallo was extradited to Italy on August 16, 2017. His extradition was requested by the Minister of Justice of Italy on December 30, 2016. The Joint Court of Justice in Philipsburg, St. Maarten, ruled the request permissible on June 20, 2017. The Governor of St. Maarten signed the documents on August 4, 2017, formalising the extradition to Italy. 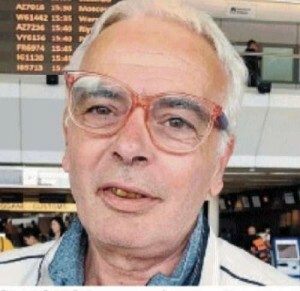 Corallo was in preventive custody for eight months and was released by Italian authorities once landed in the country. The status of the case is unknown to St. Maarten officials. When contacted by this newspaper about Corallo being seen in St. Maarten, Prosecutor’s Office spokesman Norman Serphos said no information regarding the case is available at this time and advised The Daily Herald to contact Italian authorities for clarity. Corallo arrived Wednesday and started visiting his properties with personal lawyer Roy Moes. The Prosecutor’s Office in St. Maarten always maintained that Corallo’s arrest was based on the requests of Italian officials. Serphos reiterated that St. Maarten had no case against Corallo.